Appointments at French consular posts in some countries are temporarily unavailable during a transition to a new appointment system. Fragomen will contact affected applicants to discuss workarounds. Appointments at French consular posts in some countries are temporarily unavailable during a transition to a new appointment system. New appointment system. All French consular posts are transitioning to a new appointment system before July 2018. Availability of the new system will vary between consular posts. Previous system unavailable. The former appointment system is no longer available. Some consular posts have temporarily taken down websites relating to appointments, or in exceptional cases have taken down the entire website. Transition process. Consular posts may allow appointment bookings via phone or email during the transition period at their discretion. 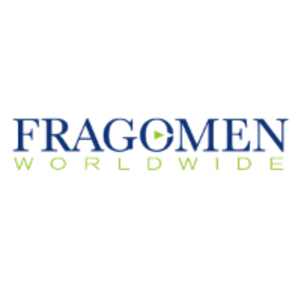 Fragomen will contact affected applicants to find an appropriate workaround to minimize delay. Locations not affected by the change. The new appointment system is already in place in India and China, so these locations will not be affected by the change. Employers and foreign workers are advised to account for delays in work start dates, as all French long-term work authorization options involve a consular visa application. Visa appointments will be organized and operated by new visa service providers TLScontact or VFS Global going forward. The new appointment system should be in place in all locations by July 2018. Delays may continue through August as a result of backlogs due to the system's temporary outage, and due to the normal summer increase in consular appointment requests. This alert is for informational purposes only. If you have any questions, please contact the global immigration professional with whom you work at Fragomen or send an email to parisinfo@fragomen.com.